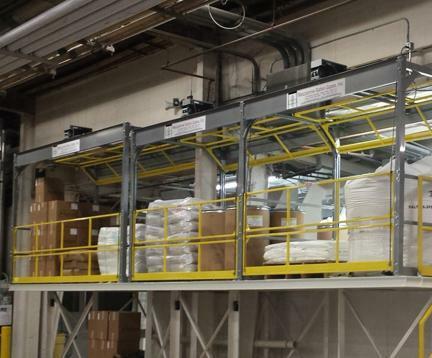 For 35 years we’ve been designing industrial safety gates that provide fall protection, securing the ledges of pallet drop areas on elevated work platforms, mezzanines, rack pick modules, dock-lifts and more - virtually any elevated surface where employees may be working. Our sole focus is fall protection, and our safety gate product line includes numerous designs, including the original dual-gate system, the Roly® Safety Gate. Our designs will fit into any industrial application and meet or exceed OSHA, ANSI and IBC codes. Our safety gates have been installed in thousands of distribution centers, material handling and manufacturing facilities worldwide, in virtually every industry. 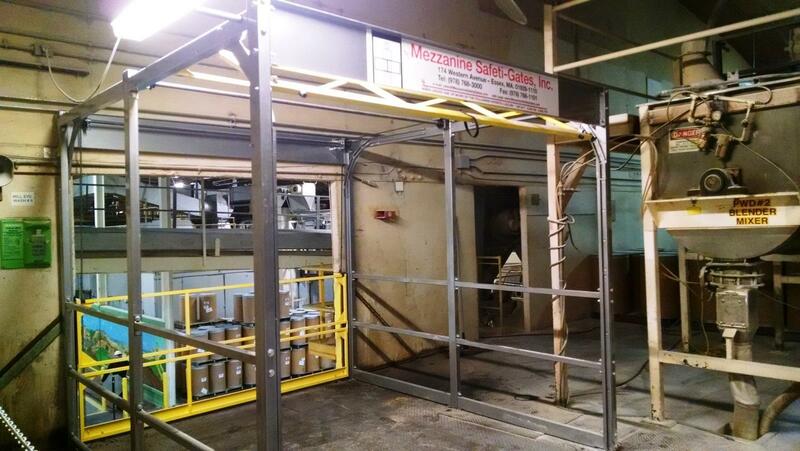 For over 30 years, we’ve been designing safety gates to secure the ledges of pallet drop areas on mezzanines and rack picking systems. 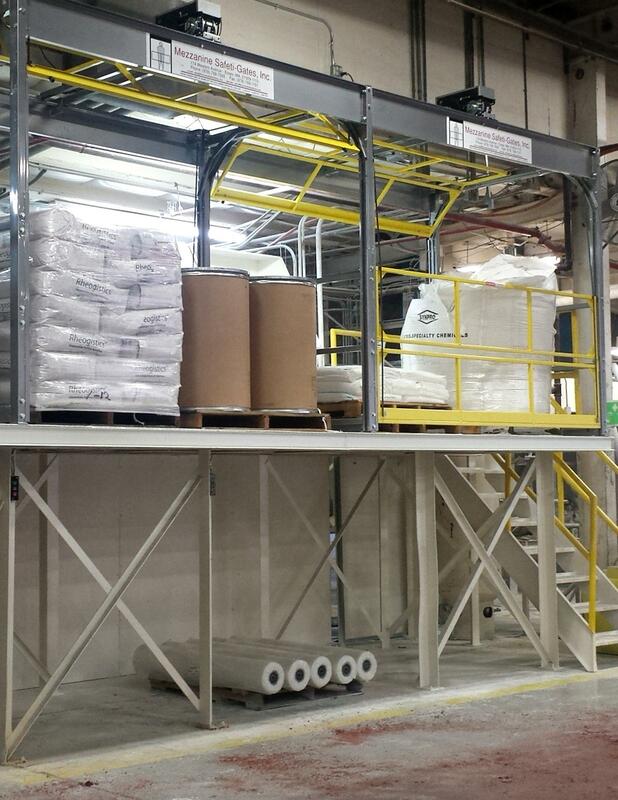 Our safety gates, including the original Roly® Safety Gate, provide fall protection in hundreds of material handling and manufacturing facilities in virtually every industry. Speed and efficiency is a goal of any business today, especially in material handling, distribution and manufacturing. Customers today want to ensure they are operating at their highest levels, and given this goal and the rise of available technologies, automation is top of mind for most of our customers. However, automation of safety equipment is not always top of mind. In fact, manual operation of our safety gates used to be our first recommendation, and it is still a very popular and viable option. We also recognize that power operation and complementary technologies for safety equipment is often needed for automated applications and processes. Are you headed to ProMat in Chicago this April? Stop by our booth, S2314 while you are there - we'll have our new power operation for safety gates on display and can talk about ways to automate your safety gates if you haven't already done so, our latest custom designs and our new safety gates for loading docks and dock lifts. We always like to see our customers and partners and meet new friends, and look forward to talking with you about how we can help you make your facility safer, without losing speed or productivity. Safety regulations from the Occupational Safety and Health Administration (OSHA) can be difficult to navigate; have you sat down and tried to read through the code that pertains to elevated platforms or pallet drop areas? It can be difficult to determine which of the codes apply to that application. When trying to determine the best practice for safety in a facility, ensuring compliance with the proper OSHA codes is mandatory. But, even though those codes are confusing, there is an easy way to ensure you will meet the code: consult the American National Standards Institute (ANSI) first.  We have designed all of our safety gate models to fit specific applications in a wide variety of environments. Whether you have a manufacturing facility with a hostile environment or distribution center with automated picking, we have a safety solution for you. Custom designing safety gates is our specialty - if you have a unique application in which our standard models won't fit, we'll design a safety solution that will work for your facility.